It was all too Much, 2018. Acrylic on canvas 71 3/4 x 71 3/4 in. (182.3 x 182.3 cm) © Tracey Emin. All rights reserved, DACS 2017. Photo © White Cube (Theo Christelis). On the 28th January Tracey will be the guest of honour at the Arts Foundation Futures Awards when over £65,000 of prizes will be announced. Tracey will be opening a major solo exhibition the following week at the White Cube in Bermondsey which will be running from the 7th February until the 7th April. Chronicling the most recent developments in Tracey Emin’s practice, ‘A Fortnight of Tears’ brings together new painting, photography, large-scale sculpture, film and neon text, all stemming from the artist’s deeply personal memories and emotions ranging from loss, grief, longing and spiritual love. Three monumental, bronze sculptural figures, the largest Emin has produced to date, are shown alongside her lyrical and expressive paintings. Developed through a process of drawing, the paintings are then intensely reworked and added to, layer upon layer. 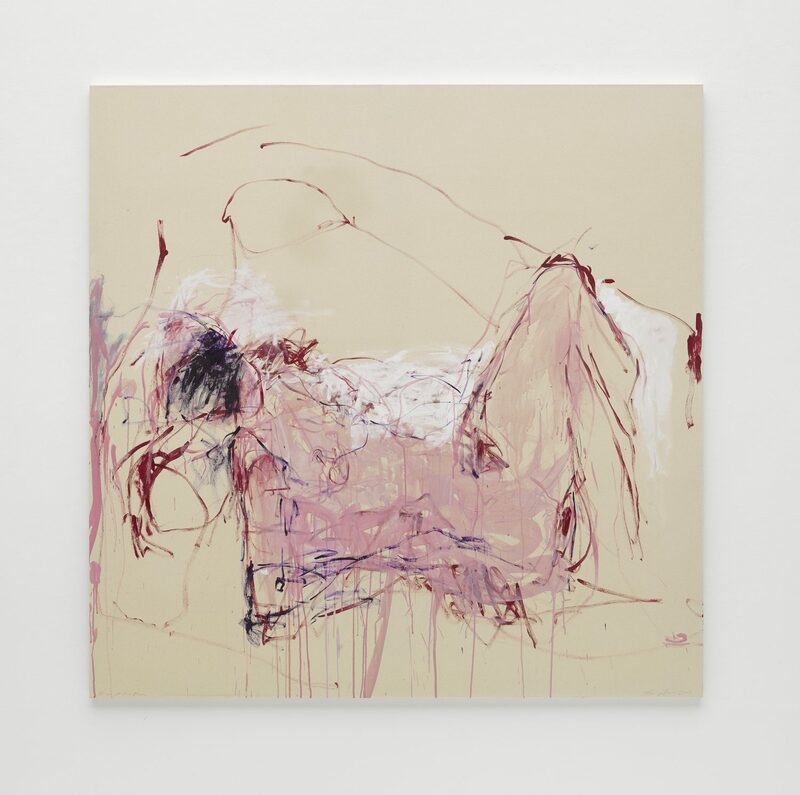 White Cube also debuts a new photographic series by Emin titled ‘Insomnia’. Selected from thousands of self-portraits taken by the artist on her iPhone over the last couple of years, these images spontaneously capture prolonged periods of restlessness and inner turmoil. Filmmaking has been an integral part of Emin’s career for over 20 years. To mark this, the artist will show a new film as well as the key early work How It Feels (1996), a candid and moving account of her abortions that changed her whole approach to making art.